Eleanor O'Reilly © 15 April 2019. Sometimes we compose our earliest stories, without even realizing they are quietly being written inside us. I don’t know where stories come from, but I do know how life shapes the stories we tell. Both my parents are great readers and great story tellers and would always either have read to us, or told us stories, as children. I remember my father used to change the endings or edit some of the more unsavoury details of certain tales, to shield us from the truth about why Hansel and Gretel were left in the woods or to show how The Children of Lir had actually had a fantastic multi-destination holiday on Lake Derravarragh and then on to The Sea of Moyle! But, in 1981, when I was eight years old my little brother died. Nobody could change that story. To a child of eight, death is unfathomable, even in stories – Grandma Hood, originally disemboweled and fed to little Red, is saved by the woodcutter. Snow White, waked in a glass coffin, kissed by a passing prince, is likewise resurrected! And they all live happily ever-after. To a child of eight, people don’t die, goldfish swim away to sea, dogs go to farms, with big fields, down in Bunclody; little brothers, aged only two and three-quarters, especially, don’t die. The following month, we got a dog, the following Christmas, an Atari computer system. Eventually, we got a new little sister. The acquisition of new things, to make us forget, made little difference, when really what we needed was to remember, together; to say his name out loud; to play his favourite Fisher Price record; to take up his little denim jacket and cry, not to consign this terrible thing, this terrible loss, which had happened to us, to silence. So, we changed the subject. It wasn’t talked about. And when something isn’t talked about, over the years, it is never spoken of again. Fast forward many years later. It is 2012. I am a teacher of English and Classical Studies at Gorey Community School, Co. Wexford. I am on maternity leave. I start writing. I enter as many competitions as I can. I win some, am short listed for others, longlisted for a few; sometimes I don’t get so much as a mention! But that doesn’t discourage me. I keep on writing. In 2014 I start studying for an MA in Creative Writing at MMU. I wrote a short story called Stoppin’ the Silence, based on an anonymous boy, who I called Jacob, four years ago. That story won the 2015 Francis McManus Award and it was this, more than anything else, that made all the difference to my writing career. As a result of the publicity around this award, three literary agents came knocking on my virtual door after hearing my story on the radio. On Thursday 9th June 2016 I travel to London (Notting Hill, no less!) to meet Jenny Hewson of Rogers, Coleridge & White, Literary Agency. I sign contracts. I have an agent! Over the next two years, I work tirelessly. My short story Stoppin’ the Silence grows into my debut novel, M for Mammy. M for Mammy was built upon an image that had somehow developed in the dark room of my imagination. There is a child, with dark hair. I can only see the back of his head, not his face. He is being driven away. I know he isn’t coming back. I stand on the footpath, waving goodbye. Everything and everybody become silent. In a way, the novel is about silence, or in it, I am writing against the silence. I’m not entirely sure. On Tuesday 11th April 2017 my agent sells my manuscript to Two Roads at Hachette UK. On Thursday 21st March 2019 my novel M for Mammy is delivered, polished and bound, to all bookshops in Ireland, Britain, Canada, Australia, Japan! The audio book and e-book are released the same day. In M for Mammy I now know the missing child is Jacob. His older sister Jenny tells us how Autism got in through the kitchen window, they’d left open for the cat, one Wednesday in February, and took Jacob away. Jenny makes up stories to keep the truth at bay. She is desperate for a happy-ever-after ending, which she attempts to write, just in case things don’t turn out as she’d hoped. And the adults around Jenny, instinctively try to protect her, and most probably themselves, from a truth that is so terminally painful, it is too big to comprehend. I remember being that protected child… he’s going off to be a little angel up in heaven…they told me. Now I write every day. I do not wait for inspiration to come and sit on my desk. I give writer’s block about as much credence as I give to Man Flu! My belief, on both counts, is that if you pay it no attention, eventually, it goes away, never having been anything more than a psychosomatic condition, in the first place, anyway. If you feed into it, it will grow. If you tell him to stop snivelling, he will! And so, I keep writing. I still don’t know where stories come from, but I do know we find them inside ourselves. I also know that a writer becomes a better writer, only by writing. I am currently half-way through my second novel. There are days when writing is difficult, but for me anyway, not writing would be hell! 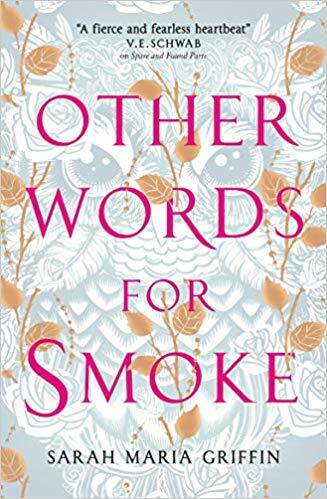 Eleanor O’Reilly is a teacher of English and Classical Studies who has just completed an MA in Creative Writing at Manchester Metropolitan University. Having first started writing five years ago, she has received several literary prizes, including the 2015 RTE Francies McManus Radio Short Story Award and the 2013 William Trevor International Short Story Award, and has been shortlisted for several others, including the 2016 Colm Toibin Literary Award. They are bound together by their love for each other, but each expresses themselves in a very different way. When misfortune strikes the family, they must learn to understand each other anew. Sometimes, in a family as complicated as the Augustts, it’s not always what is spoken that makes the most sense. 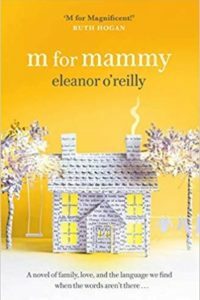 M for Mammy is an uplifting story about the unique comfort of home, the language we can find when the words aren’t there, and the power of a family to heal itself. Eleanor O'Reilly is a teacher of English and Classical Studies who has just completed an MA in Creative Writing at Manchester Metropolitan University. 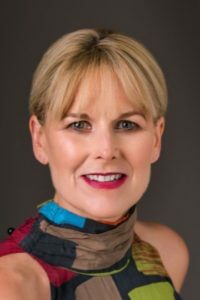 Having first started writing five years ago, she has received several literary prizes, including the 2015 RTE Francies McManus Radio Short Story Award and the 2013 William Trevor International Short Story Award, and has been shortlisted for several others, including the 2016 Colm Toibin Literary Award. She lives in Ireland with her husband Brian Kelly, their daughter Ella Kelly, and a whole menagerie of pets. M FOR MAMMY is her debut novel.